I was meant to have this post up yesterday already but I seem to be running out of time faster than anything else. Do we really need to sleep? Last week I was extremely lucky to be invited to the 27Pinkx Durban launch along with a fellow Durban bloggers. 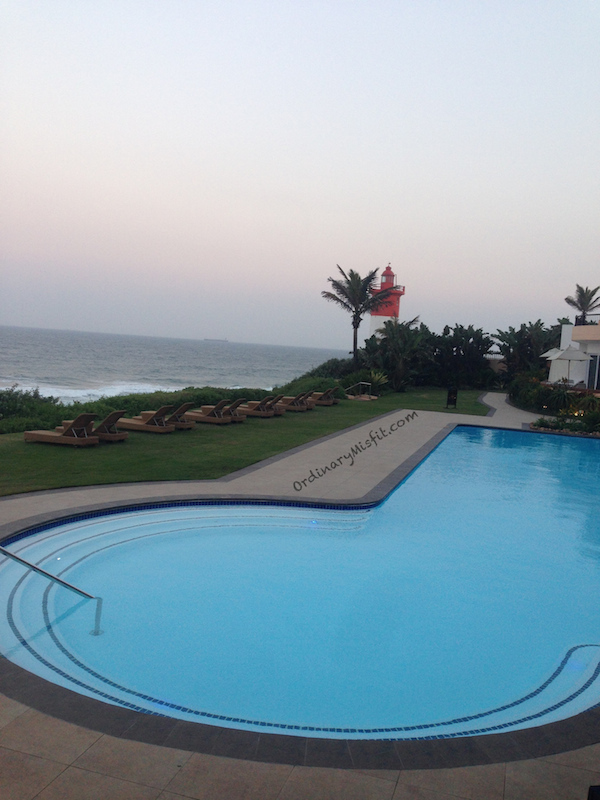 It was held at Beverly Hills Hotel in Umhlanga and it was an absolutely gorgeous venue. With a view like this…..who can complain. 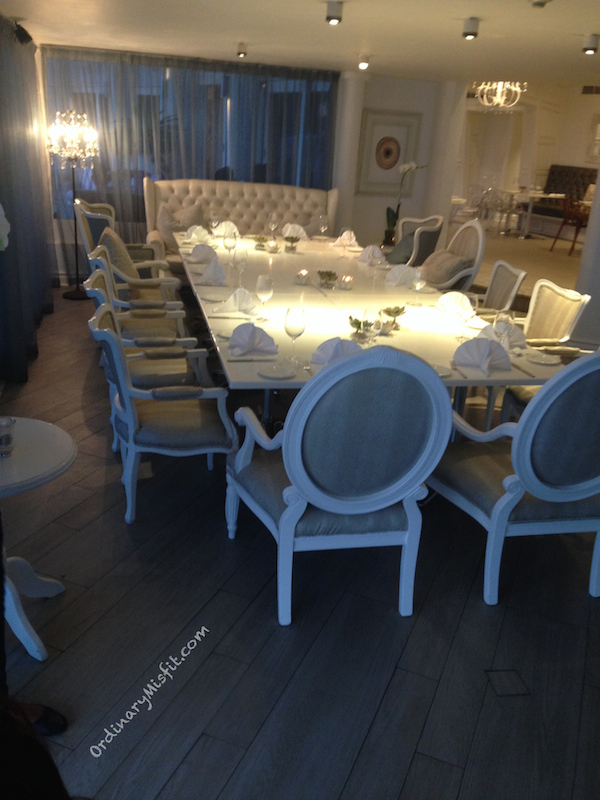 and in this gorgeous setting, it was luxurious and casual and just perfect. Anyway, a little more about 27Pinkx. I am sure you have seen 27Pinkx all over social media lately. 27Pinkx was founded in 2012 by two sisters, Anjum and Khatija Ahmed and they are based in Pretoria, Gauteng. Their vision: to bring Hollywood luxury to women across South Africa at affordable prices. I have been stalking them for a while now and have been lusting after almost every item on their website. On their website you will find storage, brushes and a wide variety of absolutely gorgeous makeup. The bonus is that they offer free shipping throughout South Africa. On display were a few of the gorgeous products from 27Pinkx. Starting at the top (moving clock wise) is the Luxury organiser (R1800) and the Mini Organiser (R1200). Then 3 of the beautiful palettes. First is the Blush, bronzer & highlighter palette (R460), The naughty nudes palette (R460), The sugar and spice lip palette (R450), The high end palette (R460). After that is the bag that the brushes come in. The brushes are displayed in the brush holder. 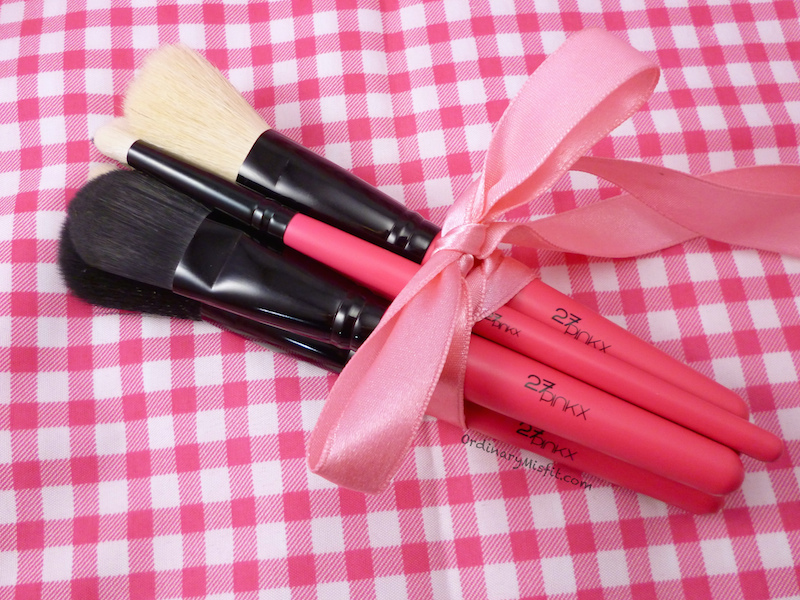 Brush set (R420) and the brush holder (R380). 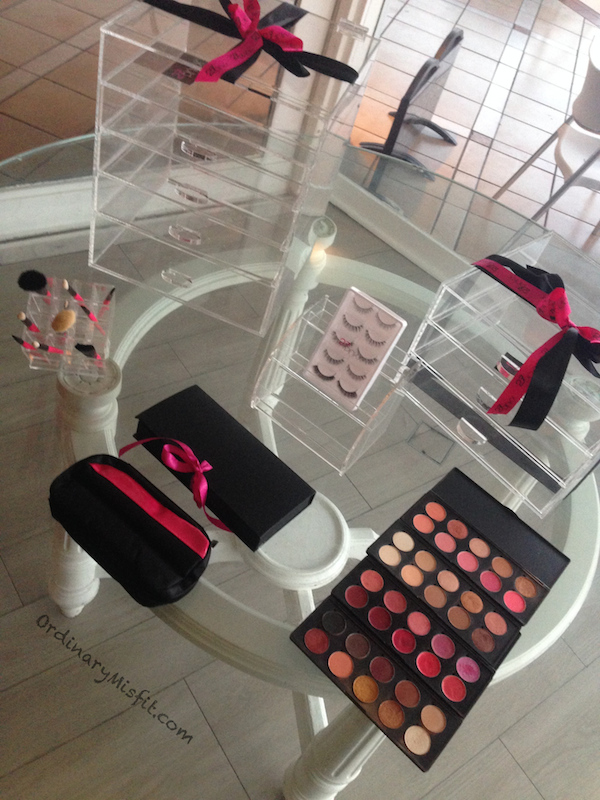 In the middle is the set of lashes (R230) displayed in the lipstick stand (R390). I know you are loving these products as much as I am. We did get to play with these items and the quality is really great! We were lucky enough to each receive a set of the brushes. I have been eyeing the set of brushes for quite some time so I am beyond thrilled. Aren’t they gorgeous? It was an absolutely beautiful night of luxury and catch up with old and new friends. Thank you so much to Danielle and Khatija for having us. It was a real treat and I for one will definitely be doing some shopping on the 27Pinkx website. I would’ve loved to find out more about the palettes on the night but I have been following 27Pinkx for quite a while on all platforms and there are always great tips, uses and looks to get completely inspired by everything on their website. Next stop for me, the organiser. I am utterly obsessed with it and I know I nee to have one. If you want to find out more about 27Pinkx then please check out their website or follow them on any (or all) of your favourite social media platforms. I am a fan, any company that has PINK in their name deserves all the love they get. Thank you again, for the lovely evening and the lovely gifts. Have you tried any of the 27Pinkx products? Is there anything on your wish list? Let me know what you think. That looks lovely! The organisers are gorgeous and practical 🙂 Looks like you had fun! Those organisers are gorgeous and totally lust-worthy! Tons of fun, thanks sweets! Thanks so much Charlene. Those organisers are beautiful. I wouldn’t mind any one of them. It would looks so gorgeous. Naughty nudes is on my list as well. Such a stunning palette and so wearable.